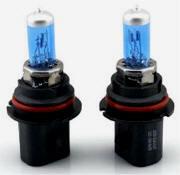 Brand New: 2 Bulbs - each high/low beam. Plugs directly into your stock light socket. 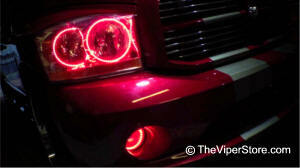 A Pair (set of 2) of Super High Intensity Discharge HID Low Beam Xenon Bulbs. 12V Drawing Input, 55W/65W Output. 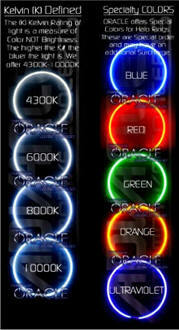 5000K Color Temperature. Bulbs produces High Wattage light output with only a standard Watt current drawing. NO wires will need to change. 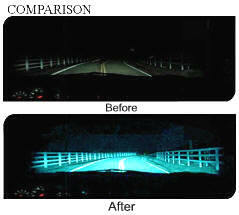 More Visibility when driving at night. 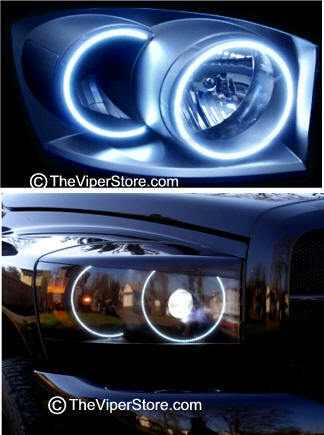 Give the looks of Headlight just like the 100K Luxury Cars. 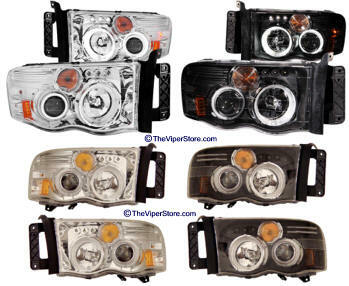 Direct upgrade replacement of stock headlight bulbs. 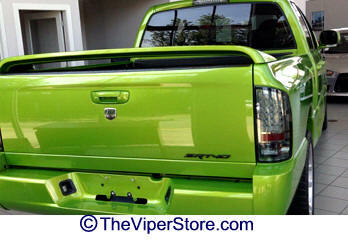 Easy Installation (Just plug and play) No Modification needed. 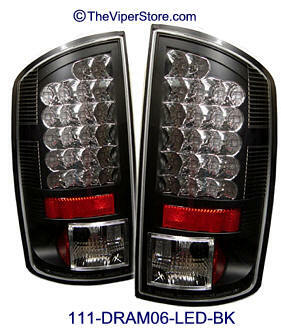 Brand New: 2 Bulbs - each FOG light. Plugs directly into your stock light socket. Own the Night! 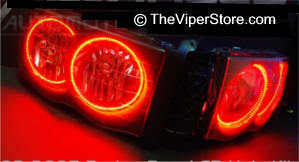 FOG Lights! 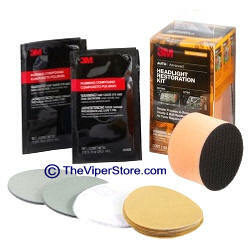 Note: Does not repair chips or cracks - this kit is designed to remove hazy or discolored buildup on plastic lens covers such as those used on all Vipers. 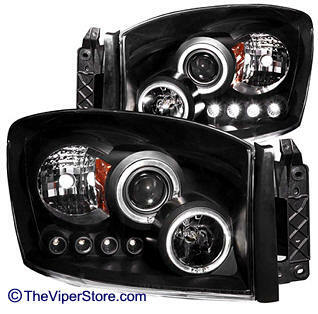 AAC-RAM0405-HALO-HL Dodge RAM 2004-2005 Halo Head Light & Fog Light Accents "Snake-eyes"
CCFL (cold cathode fluorescent lighting) core technology. CCFL produces a very bright but soft diffused light from the gas charged tubes. 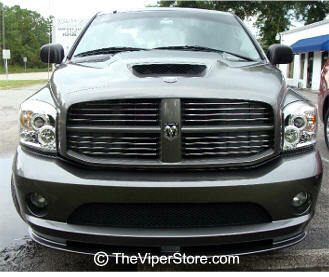 The look is very "high tech" and matches HID equipped lights exceedingly well. 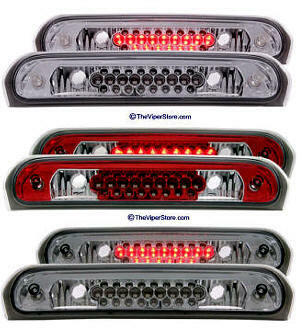 LED You may also choose LED style. 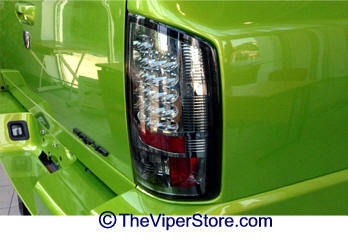 This produces a sharp defined light which is also visible in day. These lights last nearly forever. Available in Red, Yellow or Blue. Top photo CCFL HALO's. 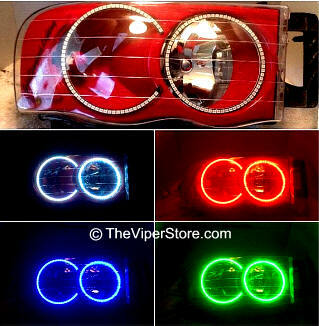 Bottom photo LED HALO's. 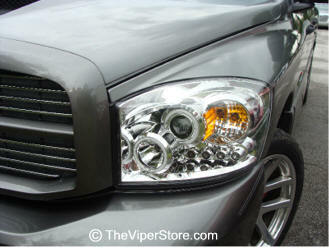 AAC-RAM06-HALO-HL-FL Dodge RAM 2006 Halo Head Light & Fog Light Accents "Snake-eyes"
Installation: These lights must be professionally installed. 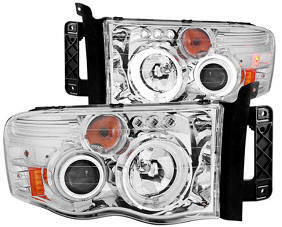 The headlight case must be heated open and resealed after Halo's are mounted. 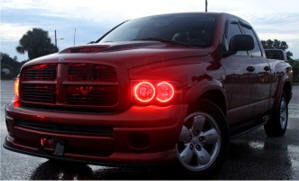 Illuminate your driving experience with the power of Anzo USA Headlights.. 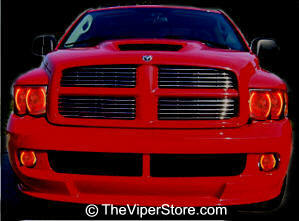 These sporty designed powerful lights will turn your RAM SRT10 into a show car! Fits 2006 only. What the Halo lights shine like. 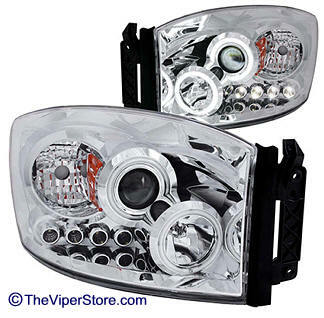 Shown on stock headlight. 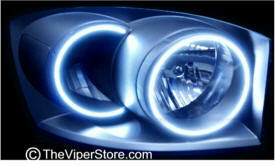 Illuminate your driving experience with the power of Anzo USA Headlights.. 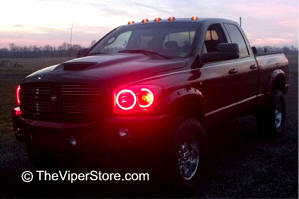 These sporty designed powerful lights will turn your RAM SRT10 into a show car! Fits 2004-2005 only. 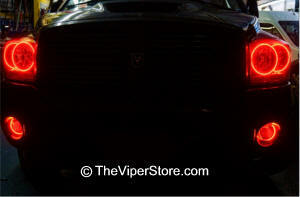 High Quality long lasting LED lights assemblies are stylish and really set off your prized Viper RAM's rear end. Two examples are below. To see all the choices click on the photo. 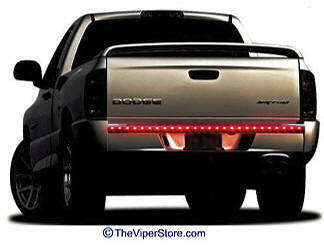 Turn heads with the sleek looks of an Anzo USA Third Brake Light. 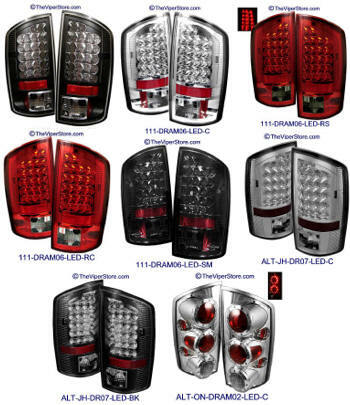 These easy-to-install lights add an instant pick-me-up to the back of your rig. 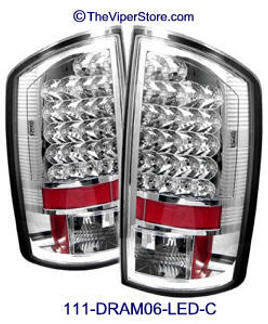 They're made specifically to fit your vehicle as a direct replacement for your factory 3rd brake light. 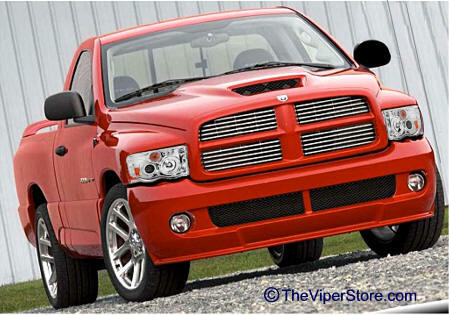 This means you won't be spending any time drilling, wiring, or modifying when you install them.